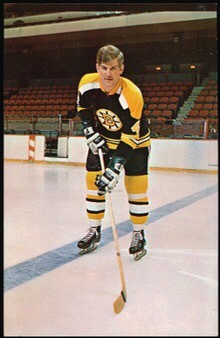 Bobby Orr has my undying love and admiration. He’s arguably the greatest player of all time, has been a great ambassador for the game. A class act all around. His views on hockey are well respected and when he talks people listen and they should. But, he recently spoke on the topic of putting the red line back (for two line passes) and he’s in favor of it. I strongly disagree. First off he argues that its removal (post 2004-2005 lockout) has sped up the game too much causing today’s larger and more fit players to have increasingly dangerous collisions. He also talks about the trend of sending the puck up the ice from deep in the zone, to be deflected along the way, to avoid icing, only to have the other team do the same. Back and forth, boring hockey. He wants it back to force teams to skate with it, make short passes and risk turnovers, resulting in scoring chances. I’ll discuss each point but first some history. It’s Hitler’s Red Line. Ok now get off the floor and let me explain. It went into effect during WW II, due to watered down rosters with so many players gone to war. Then later it just stayed on the books. So let’s recall what life was like with it in place. Especially around the 2000’s when they’d moved the blue line further out to increase the offensive zones. A short pass from behind your blue line just over the red line was whistled dead, two line pass! It was so dumb. That’s a totally reasonable pass, could free up a guy on a rush or breakaway, but no, a whistle. It played right into a trap teams devious soul sucking plans! So they took it out and teams like Tampa opened the game up with an emphasis on stretch passes. The market value of the good first pass defenseman went up and up! The game did get faster, and the players are totally more fit and well trained than back in Orr’s day. So what about the boring slinging of the puck end to end with touches to prevent icings. That is an issue and should be looked at but not by putting the red line back. The hybrid icing rule can help as teams can win the race and prevent the icing. That’s not a lot but it happens. The emphasis on puck possession also guides teams to not give up the puck. Overall this tactic is there but not pervasive. Finally, the idea of creating turnovers to generate offense. I think the removal of the red line does just that. Steal the puck just inside the blue line and You can quickly fire the puck up ice to a streaking winger quickly creating an exciting offensive rush. Wide open, back and forth rushes, breakaway passes, high speed hockey! That’s what most fans, and players want. I don’t know if my arguments can overcome the aura of Orr, but on this topic I hope there isn’t a move to restore Hitler’s Red Line!